The Veterinary Policy Research Foundation (VPRF) took part in the popular and enjoyable BVA Animal Welfare Foundation Discussion Forum once again this year. The topics covered, including antimicrobial resistance, welfare at slaughter, population control and indiscriminate breeding, and the use of advanced veterinary practice. We took particular interest in Professor Steve Wotton’s talk on the latest research on the stunning of animals before slaughter and the nuances of appropriately stunning poultry to both effectively stun the birds regardless of their size and yet not induce cardiac arrest so that the stun is demonstrably irreversible – a necessity for Halal consumers. There was a great deal of discussion and debate around the enforcement, or lack of, animal welfare law with particular reference to import/export and indiscriminate breeding. The general impression given by the veterinary surgeons and veterinary nurses in attendance was one of frustration that these oft discussed issues are still not being effectively addressed and impotence that when they are faced with a potential animal welfare issue there is no clear path to follow. 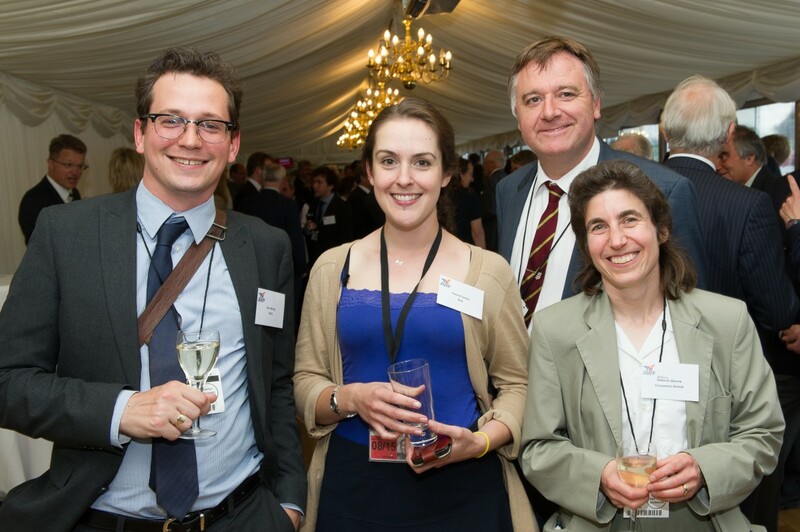 Parliamentary Veterinary Intern and guests at the 2015 BVA AWF Reception. The 2015 Discussion Forum concluded with a reception on the House of Commons terrace hosted by Neil Parish MP.